Bando’s ultra-high heat and abrasion resistant conveyor belt lineup is specifically designed and compounded to yield exceptionally long service life. 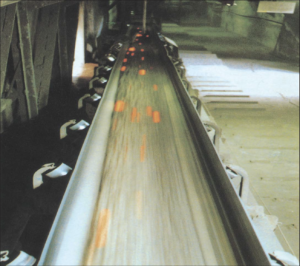 Heat Carry™ conveyor belts are used in applications where extreme material temperatures (up to 850°F) are expected and wear resistant product is a must. This entry was posted in Conveyor and tagged Bando Heat Carry, Bando USA Inc, Heat Carry Conveyor Belts, high heat conveyor belt on June 15, 2018 by Lisa Cuffe.